You are going to Watch Naruto Shippuden Episode 91 English dubbed online free episodes with HQ / high quality. 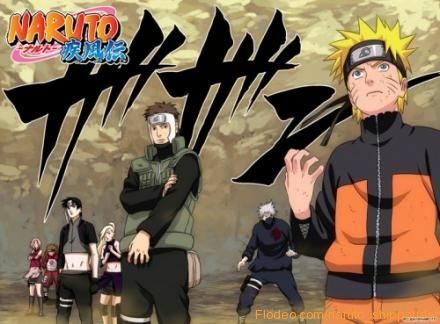 Stream Anime Naruto Shippuden Episode 91 Online English dub Orochimaru’s Hideout Discovered. Guren takes twenty-one survivors from the hideout and leaves to meet with Orochimaru. Team Kurenai and Kakashi arrive at Orochimaru’s hideout, only to discover that it has already been abandoned. Guren uses her Crystal Style jutsu to kill sixteen of her charges when they try to revolt. The other five align themselves with Guren. Meanwhile, Naruto tries to find a ranged attack to use, and Jiraiya wants to train him in synchronizing jutsu. Unfortunately, Naruto does not get along well with Gamariki, with whom he is supposed to synchronize.